Getting the latest news and events of setting up business in Hong Kong. Create a mobile application without replicating the desktop site. 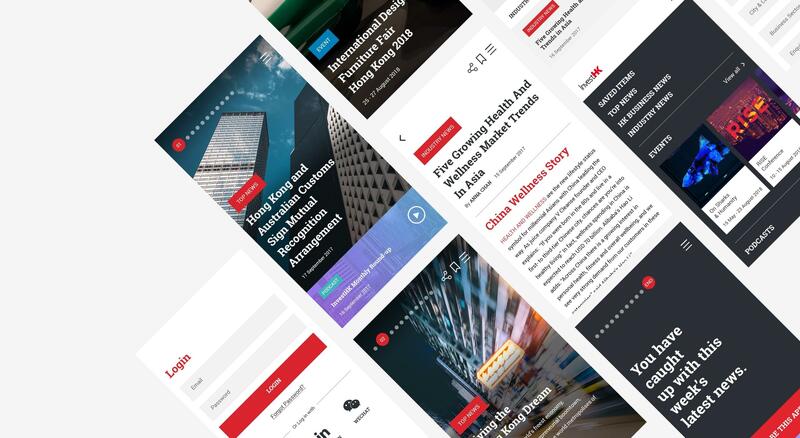 A mobile online platform for browsing updated business news around Hong Kong with contextual contents. Access to the network of InvestHK to get all of the latest news and events of setting up or expanding business in Hong Kong. 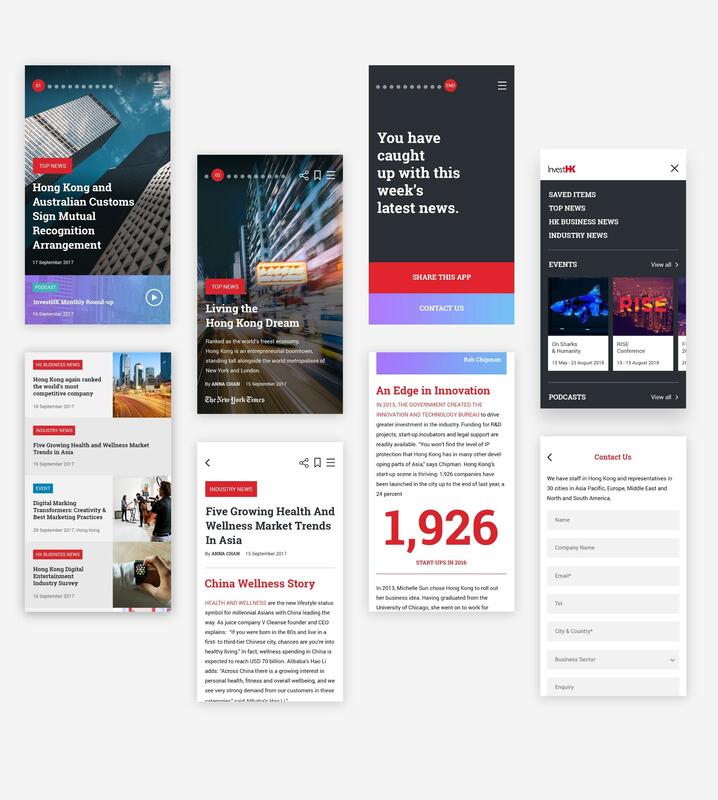 Instead of replicating the whole desktop site to a mobile application, the app focuses on providing the latest news and events. We tried to keep the flow simple and helped the users stay focused on completing one task at a time. I was focused on layout design and design guideline in this project. We used prototypes as our tools to demonstrate the interaction for the clients to get a sense of how these ideas were being used. Not only did it helps us figure out what we needed to focus on but also helped us to communicate with clients and also developers.